Dazzling audiences with precision picking and sharp harmonies developed over 13 years of playing, performing, and growing up together, the Sawtooth Brothers have created a strong musical rapport with one another, which is channeled through their infectious original material. 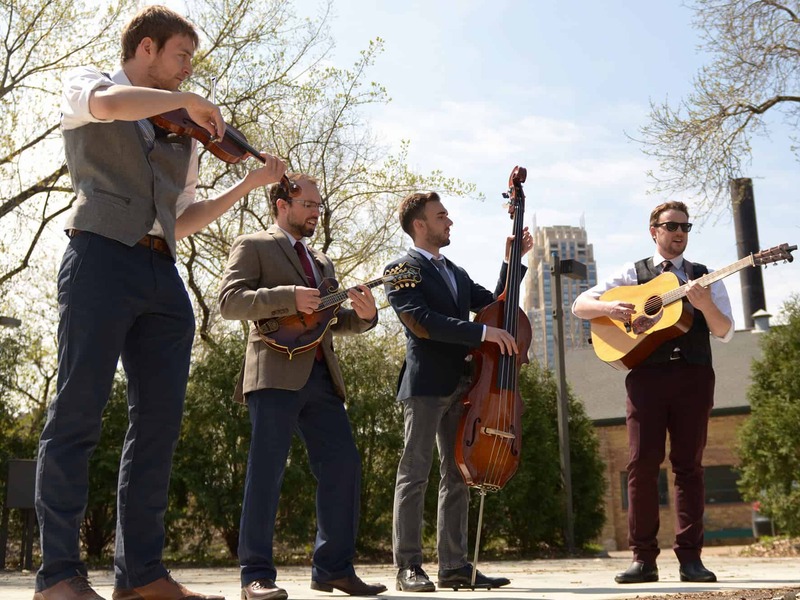 The sound of the Sawtooth Brothers is rooted in traditional bluegrass instrumental and harmony work and is influenced by modern acoustic sounds, blending pop and indie rock sensibilities with heartfelt americana. During a live performance by the Sawtooth Brothers, audiences can expect creative original songs, hard driving bluegrass, classic country, gospel, and classic rock. Tying it all together is the band’s ability to put on a good show. Each band member’s strong passion for performing music is communicated through their entertaining and endearing stage show. The Sawtooth Brothers have gained a reputation as sincere and hard-working professionals. They have performed across the country and into Canada. From music halls to band shells under bridges, to festivals, caves, river boats, weddings, pizza restaurants, television, radio, and online, they’ve seen it all. Guitarist Clint Birtzer is the 2009, 2011, and 2013 Minnesota Flatpicking Guitar Champion, as well as the 2015 SPBGMA Midwest Guitar Performer of the Year and 2015 SPBGMA National Guitar Performer of the Year nominee. He and Jesse Moravec are winners of the 2011 Minnesota Duet Championship. Fiddle player Luke Birtzer is winner of the 2010 Bluegrass Idol competition. The Wood Shed Pizza will be joining us on July 5, 2019 making fresh, hot Wood Fired Pizza available for purchase. Check out their Pizza Menu – Come Hungry!